Summary: Lincoln Burrows is a man of his word. He wasn’t, once, but he is now. Lincoln takes Sofia to Paris, where they begin to come to terms with the Company's effects on their lives, and with each other. Set between S4 and TFB, no pesky epilogue in sight. Summary: THis is how I pictured a new season in my mind . It's writen like a recap or maybe script. Summary: Season 4, the Final Break: What if Lincoln save them in a very critical moment? What if everyone has their happy ending? What if everything went as it was planned? Sara is released out of the rehab, trying to start a new life with Michael. But she still had to deal with the past while the others enjoying their new freedom. Summary: Just finish watching the final episodes of prison break, am impressed and disappointed with the ending. Why did they have to kill off Michael?? They could of given us a happier more satisfying ending. 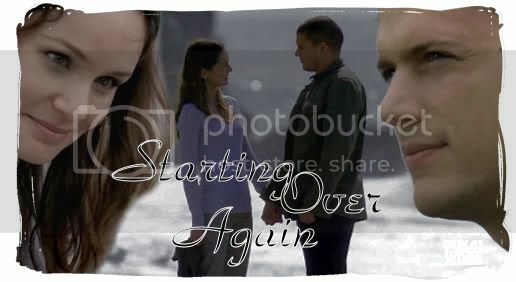 At the moment still depressed and upset over it, so I decided to write a story to ease my prison break withdrawal. Hope you like it - will keep on writing if you do. Summary: Chapter 11 is up Just to let you know, I changed the title. It's Lea's 4th birthday in a couple of days and just now Michael got the offer to work oversea. Will he take the offer or will he stay with his family? Summary: Michael,Sara, Lincoln and the rest of the family spent a day on the beach. Summary: I felt ridiculous, but she looked so happy, smiling up at me, her eyes bright and shinning, that I kept dancing with her. Summary: Snapshots of the characters' lives pre-, during, and post Prison Break.